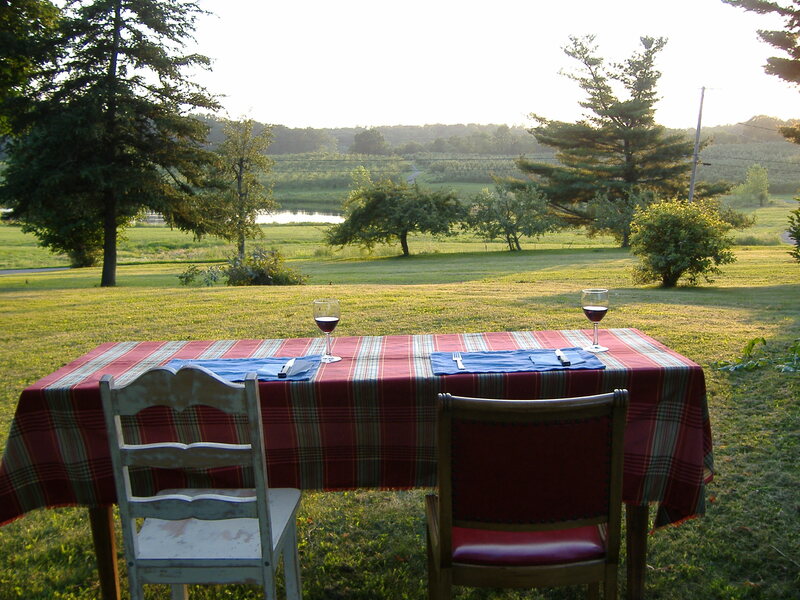 Ahhh….the days of summer are passing ever so quickly. Why? How? I ask these same questions every year. At the start of summer, it seems we have all the time in the world. Eight weeks later—we find that we’re fast rolling toward a season’s end. So, while I can, I’m indulging in a last passionate fling….with late summer produce. My favorites at farmers’ markets and farm stands this time of year? 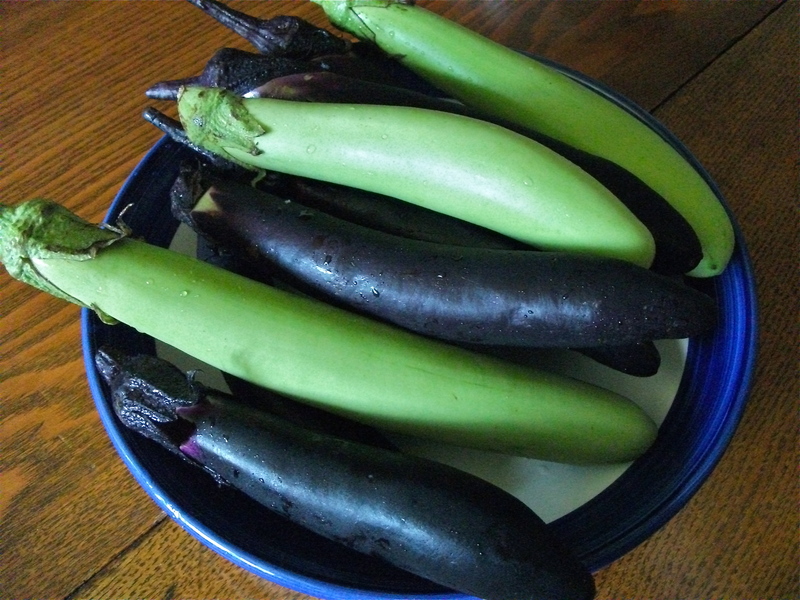 Asian eggplant: I’m drawn to long, smooth-skinned slender ones—whether dark purple, pale green, or white—with firm but springy flesh that gives a bit when pressed. 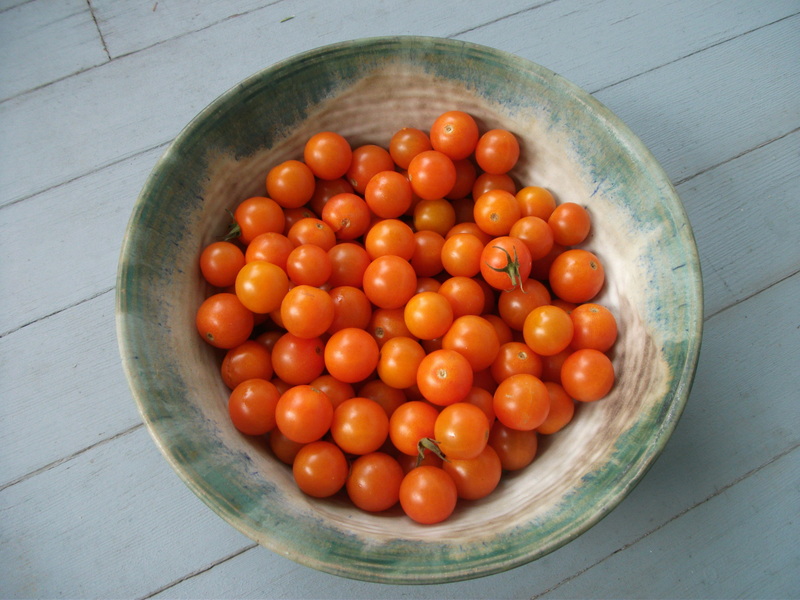 Tomatoes: I like mine blemish-free (no cracks, bruises or spots); firm but supple; vibrant in color; and to smell of sun and soil—in other words—like sun-ripened tomatoes. 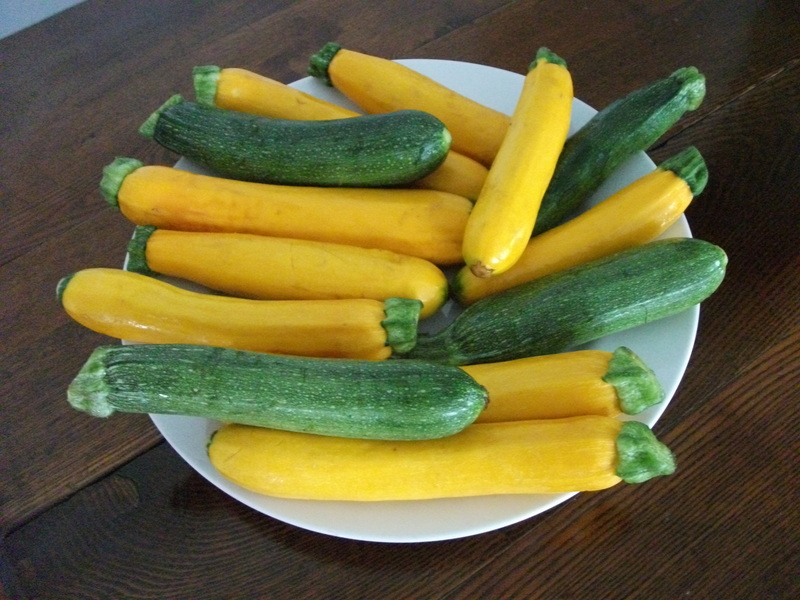 Summer squash: I pick my way through the large, thick ones (because they’re old and tough) in search of “baby” yellow zucchini that’s small, thin and unblemished. 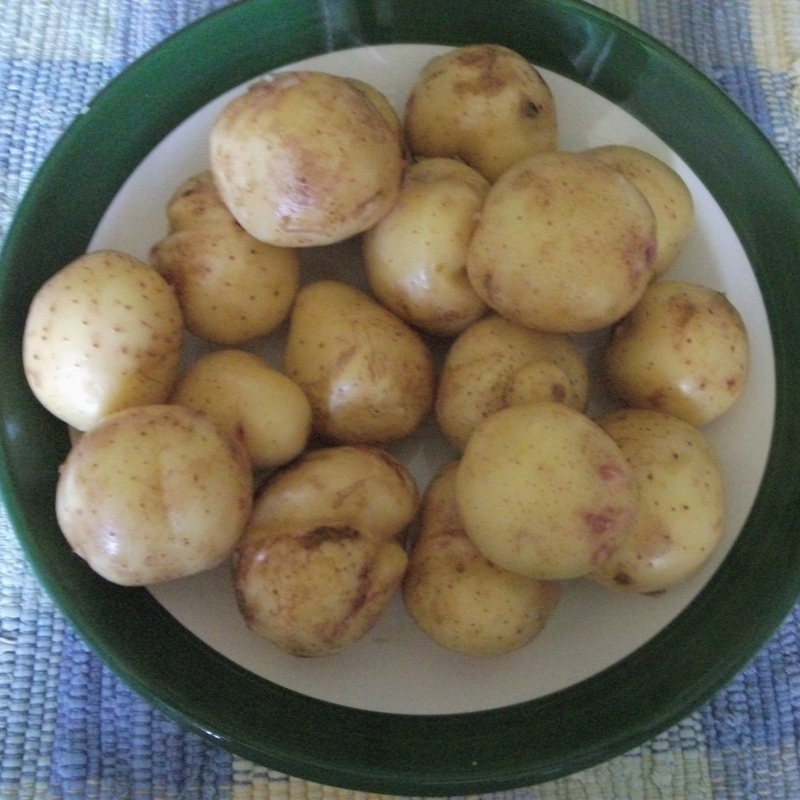 Baby Yukon Gold potatoes: I love the silky feel of these petite, thin-skinned orbs in the palm of my hand. 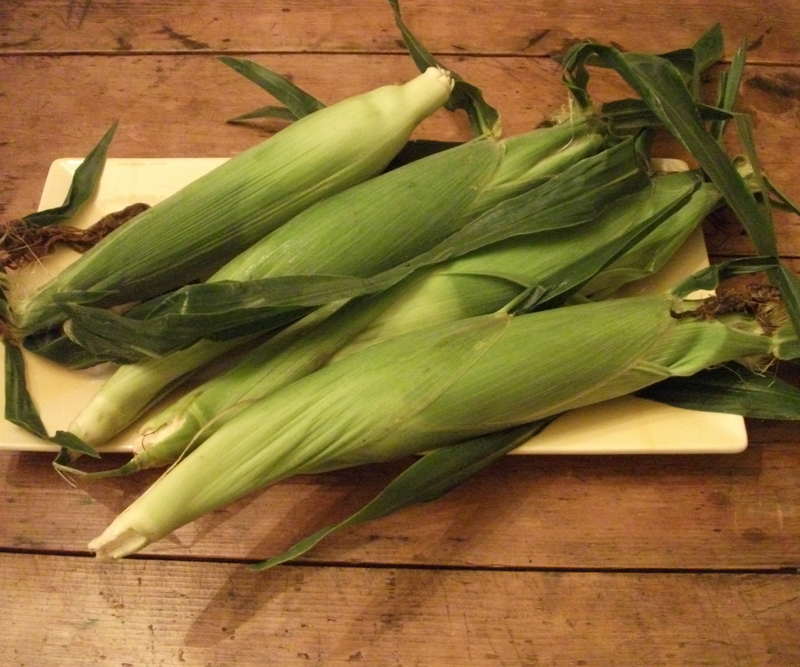 Sweet corn: when choosing, I look for those telltale signs of freshness: an abundance of slightly sticky, golden-brown silks (the strands attached to the husk), a husk that feels plump and full, and a stem that feels moist, yet firm. This entry was posted in Farm Stands, Farmers' Markets, Local Food and tagged Choosing Asian eggplant, Choosing new potatoes, Choosing tomatoes, Picking corn in husk, Selecting summer squash. Bookmark the permalink.